Posted on May 21, 2018 at 11:32 am. At Acorn Blinds, we got lots of call from customers looking for blinds for tilt and turn windows. 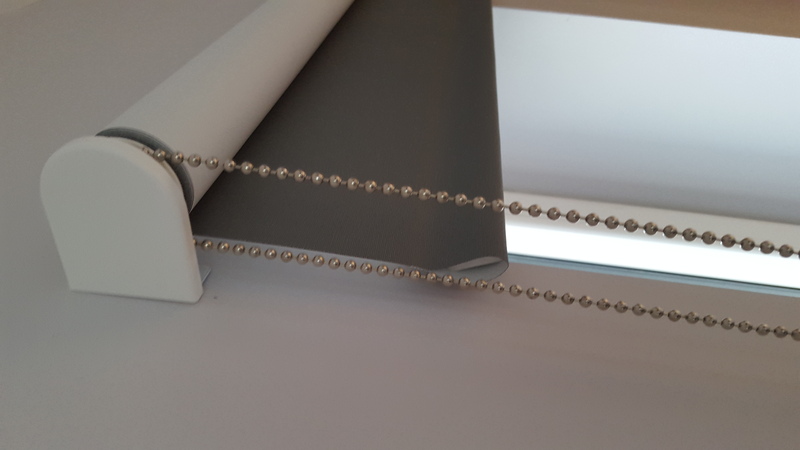 Customers have been telling us that they have been informed that they cant have any blinds to others being told that every window blind is suitable. This couldn’t be further from the truth. The reality is that Tilt And Turn windows are designed to be used an as escape. In the event of a fire this is your exit point. If we, as a responsible company, provide or install a blind that is going to restrict your exit, it would be irresponsible and negligent of us. So what are your options for blinds for tilt and turn windows? We have the most popular Perfect Fit Blinds available in Roller Blinds, Aluminium Venetian and Pleated Blinds to choose from. With a variety of frames to available, our colours include – White, Brown, Golden Oak and Anthracite. An alternative to a perfect fit blinds for tilt and turn windows, we would also recommend an outside mounted Roller Blind or Roman Blind. When the blind is fully drawn up, the window is fully accessible which means that your exit is not restricted. 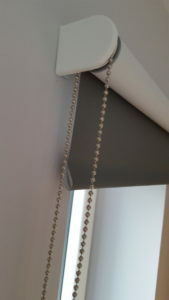 An outside mounted Roller Blind, it is important to include an extra few Inches on the width. This is to ensure that the full window is covered. 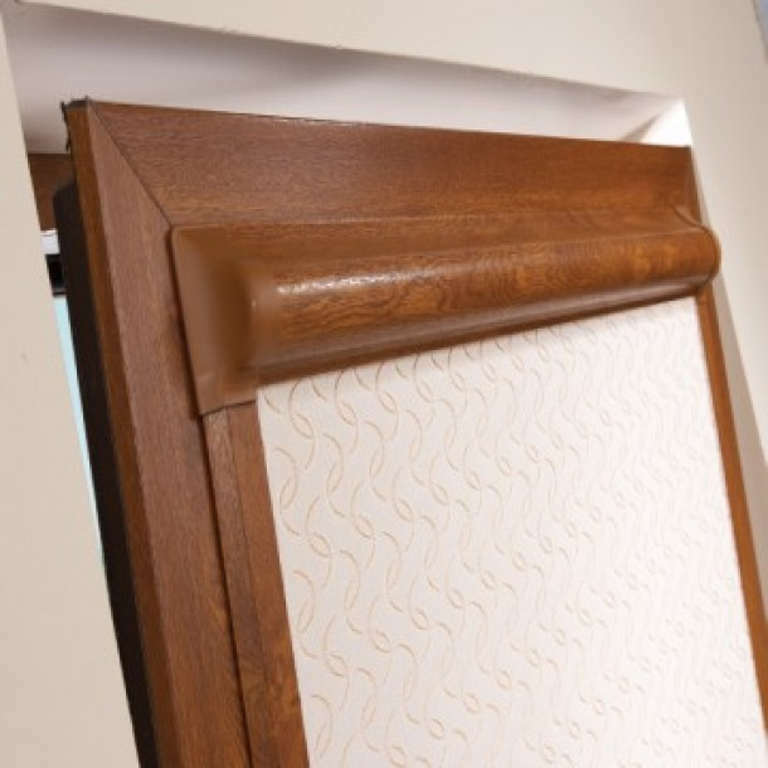 With our elegant bracket covers, we ensure that the unsightly look of the brackets are hidden from view. This just adds to the overall look of your new window blinds. Our Perfect Fit Blinds, we install a 4 sided frame around the glazing of your window. 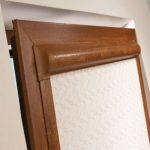 Your new window blind is then housed inside of this frame. The frame is then attached to your window using our specially designed clips that are inserted between the glazing unit and the window slips. This ensures that the blind moves with the window allowing the window to tilt, turn and pivot without restriction. Posted on April 3, 2018 at 1:48 pm. If you are looking into new window coverings to replace those old, dusty or broken blinds, you should consider having some beautiful Plantation shutters installed. Blinds come with their own problems and disadvantages so why not look into shutters. They are solid, stable and attractive window coverings. 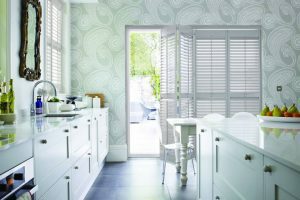 There are many different types of Plantation shutters available to suit all homeowners needs and wants. One may install them for a variety of reasons like controlling the amount of light entering a room. Providing security or privacy, protection against weather or even just for the decor aspect. Plantation Shutters are available for both inside and outside mounting. They can be used inside or outside of a structure depending on the specific home design. Here are 3 reasons to get Plantation shutters installed. Shutters are basically maintenance free. Window coverings are going to end up with dust, food and drink splatters and unwanted substances on them. Cleaning blinds is a laborious process whereas with shutters it’s easy to wipe off any substances. The slats on the shutters don’t move around, so you can easily wipe off whatever you want. You don’t need to take shutters down in order to clean them as you do with other types of window coverings. A quick wipe down with a cloth is all you need to have them looking fresh and clean. Shutters are built to last. Keeping your shutters in good order and not damaging them will keep them in operation for a long time. If you are having plantation shutters installed properly and maintained. You may not have to replace them for 20 years, if not longer. Doing this will extend their lifespan giving you even more value for money and avoiding the headache of changing your window coverings. They last longer than just about all other window treatments. Shutters are certainly an investment worth making. If you buy shutters from a trustworthy and top quality company and they are installed correctly, then they are durable enough to last you as long as your home is there. Shutters are wonderfully painted and have lots of different stained colour finishes you can choose from. They come in many different styles and can be made using a wide variety of different materials to suit your preferences. Some designs will work well in certain rooms and settings. Shutters are easy to match with the décor of your room because there are so many types, styles and colours you can get to make a statement in your home. The coated finish on shutters allows them to not fade over time. Shutters don’t go out of style, they are clean and have a great appearance making them a great decor feature. They also increase the value and overall appearance of your home due to their ability to raise the aesthetic attractiveness wherever they are located. Shutters are an excellent option if you are considering a window covering solution. If you have any questions or queries relating to shutters then call us on 021-480-6684 or visit us online today and see our fantastic range of shutters.